Registration: for organizational purposes, please RSVP to oppenheimer@mcgill.ca. The implementation of the Swiss Mass Migration Initiative: Conflict or Coherence with Swiss/EFTA FTAs? Mapping Swiss Migration Partnerships, towards a coordinated approach building trust, maintaining dialogue and enhancing cooperation. Mobility for employment reasons has been liberalized in the WTO/GATS, but also in free trade and economic partnership agreements, while bilateral migration agreements have so far rather been used to regulate flanking measures, like facilitating entry (visa) and the recruitment process overall, but also addressing fair treatment of workers abroad through post-admission rights, and finally, addressing voluntary return and repatriation. 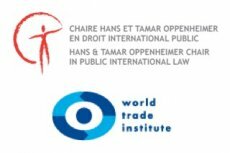 This first session of the seminar discusses the variety of mobility clauses in key free trade and economic partnership agreements which could be GATS-plus or GATS-extra and thus contribute to the paradigm of free movement of persons. On that basis, the seminar will add to the debate the issue of the skill divide, which queries to what extent free trade agreements exacerbate the duality between a high-wage labor market which is globally liberalized and facilitated, and a low-wage labor market which is regulated or else draws on the irregular migration of labor. Diversity is the immediate future of all societies. Most societies are progressively recognising themselves as very diverse already. Gender diversity has been recognised thanks to over a century of feminism and has recently led certain jurisdictions to include an “other gender”. Acknowledging ethnic, linguistic and religious diversity has led to the recognition of national minorities and aboriginal peoples. Persons with disabilities have fought for a right of access to physical structures and to professions and jobs. Sexual diversity is more accepted, thanks to the work of the LGBTI communities. Ageism is also a form of discrimination which is attacked. Migration, mobility, internet connectivity and free trade are also adding layers of ethnic, linguistic, religious and social diversity to our complex societal mixes. We urgently need to further develop integration policies, practices and institutions that respond to the need to establish a common social framework, based on human rights, which represent the only common ground that can respect inclusively (although never entirely) our many “traditions”. Such policies will cover, inter alia, a number of issues: multiculturalism, anti-racism, combatting hate crime, school integration, youth employment, religious diversity, access to justice for all. All such policies, practices and institutions should be based on a common human rights framework, particularly on the equality and non-discrimination principle.